Pockets of urban forest can contain as much carbon as tropical rainforests, according to new research led by UCL. Protecting and planting urban forests is central to building liveable and sustainable cities in a future where global populations are set to become increasingly urbanised. This research sheds new light on the value of urban trees for their potential to store carbon and mitigate climate change. 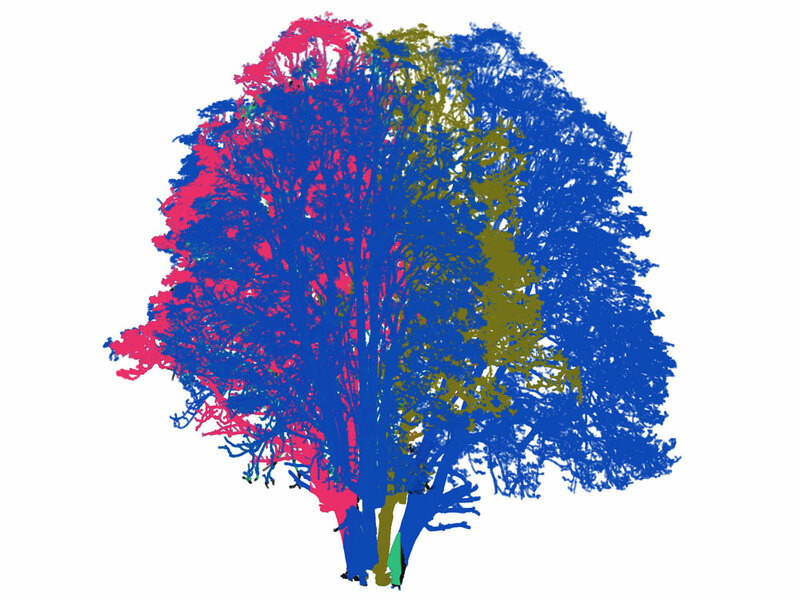 The new study, published in Carbon Balance and Management, used publicly-available airborne LiDAR (Light Detection and Ranging) data collected by the UK Environment Agency, combined with ground-based LiDAR measurements, to generate a map of carbon stored in an estimated 85,000 trees across the London Borough of Camden. The UCL team found that areas such as Hampstead Heath store up to 178 tonnes of carbon per ha, in comparison to the median value for tropical rainforests of 190 tonnes of carbon per ha. "Urban trees are a vital resource for our cities that people walk past every day. We were able to map the size and shape of every tree in Camden, from forests in large parks to individual trees in back gardens. This not only allows us to measure how much carbon is stored in these trees but also assess other important services they provide such as habitat for birds and insects," said lead author on the study, Dr Phil Wilkes (UCL Geography). Ground-based LiDAR is a new technique pioneered by the team at UCL to measure carbon in tropical rainforests, but for the first time it has been used closer to home in Camden, UCL's local borough. Previous estimates of carbon stored by urban trees have relied on measurements from trees outside of cities, which may be quite different. Urban trees provide many ecosystem services essential for making cities liveable. This includes providing shade, flood mitigation, filtering air pollution, habitat for birds, mammals and other plants, as well as wider recreational and aesthetic benefits. According to Treeconomics the services provided by urban trees in Greater London are estimated to be worth £133m per annum. The carbon storage capacity of urban trees alone is valued to be worth £4.8m per annum in Greater London, or £17.80 per tree. The scientists hope that their research will help to better understand the value of urban trees and influence future urban planning. They also hope their research will help to demonstrate how different urban trees can be from their wild counterparts, and even from each other across different urban settings. "An important outcome of our work was to highlight the value of urban trees, in their various and very different settings. The approach has been really successful so far, so we're extending it across London, to other cities in the UK and internationally," said Dr Mat Disney co-author and leader of the UCL Geography LiDAR research group. "The trees in our cities are important. They matter because they are close to people and are a key component of our urban environment providing beauty, shade and homes for myriad species as well as absorbing carbon and pollutants. The work being carried out at UCL is adding colour and detail to this understanding," said Sir Harry Studholme, Chair of the Forestry Commission. The work was kindly funded by the Natural Environment Research Council, in part through the National Centre for Earth Observation (NCEO). The team are very grateful to David Houghton, Interim Tree Manager for Camden Council and Highgate Cemetery for access to data and sites.